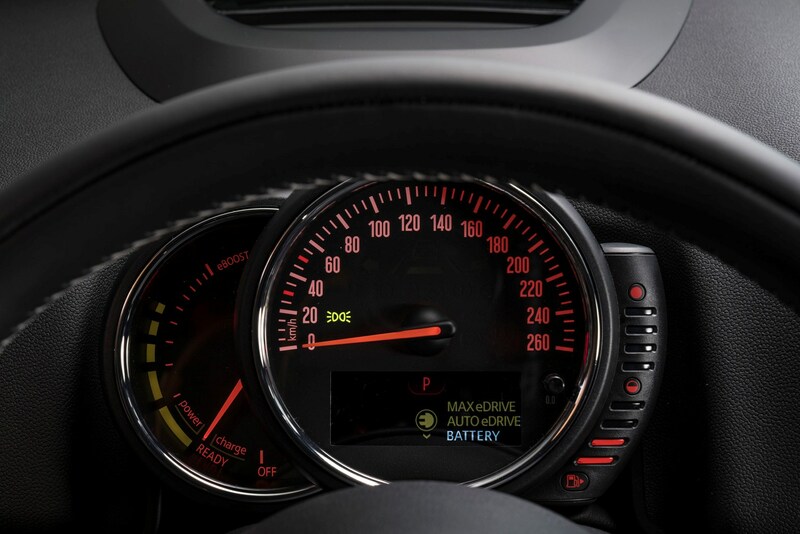 Insurance group: 15 - 36 How much is it to insure? 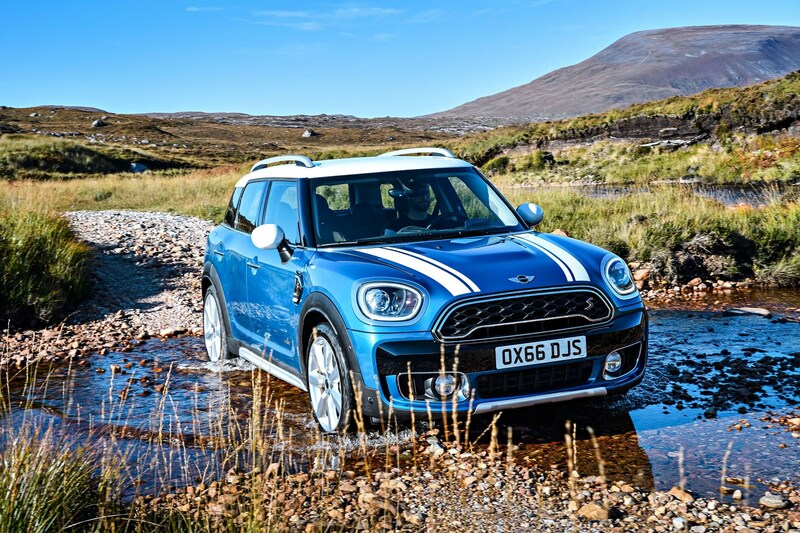 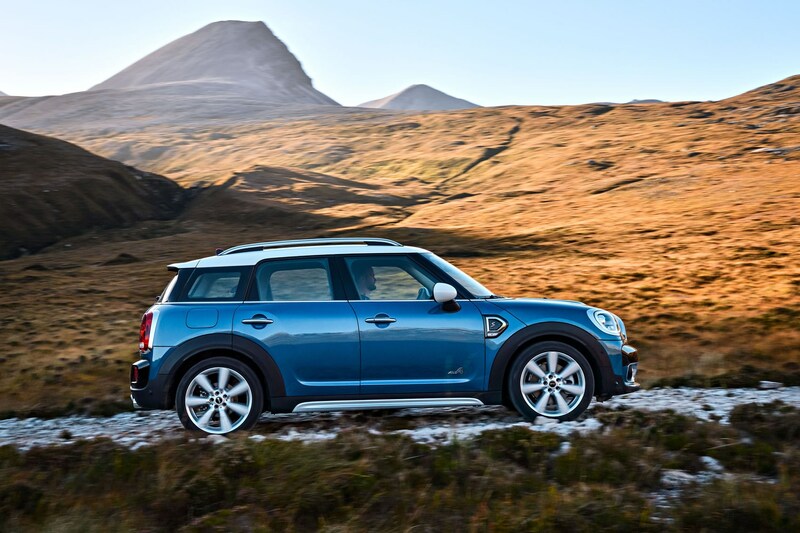 Given that the first Countryman wasn’t that good and had delusions of grandeur, MINI would be hard-pushed not to significantly improve on it with this second generation outing. 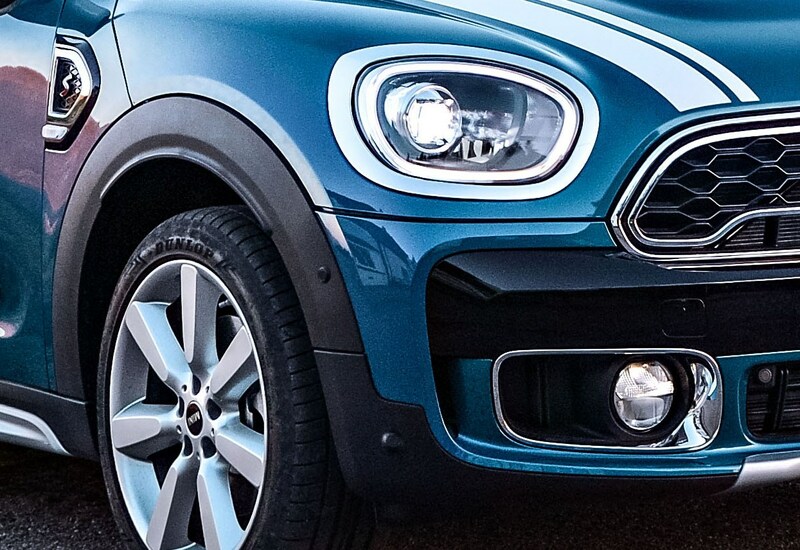 Happily, it has succeeded. 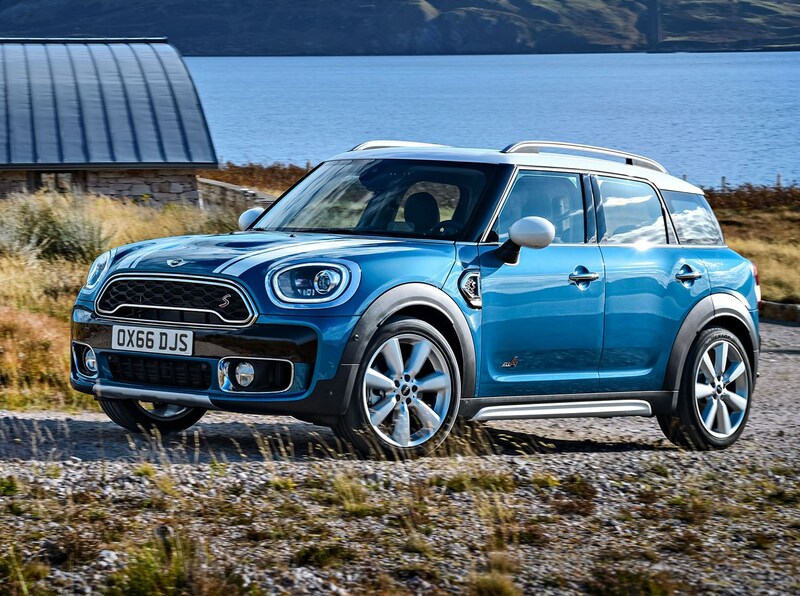 Rivalling the likes of Audi's Q2, the Mercedes-Benz GLA, the BMW X1 and, perhaps, the Mazda CX-3 or Jeep Renegade, the new Countryman has swollen even further in all directions. 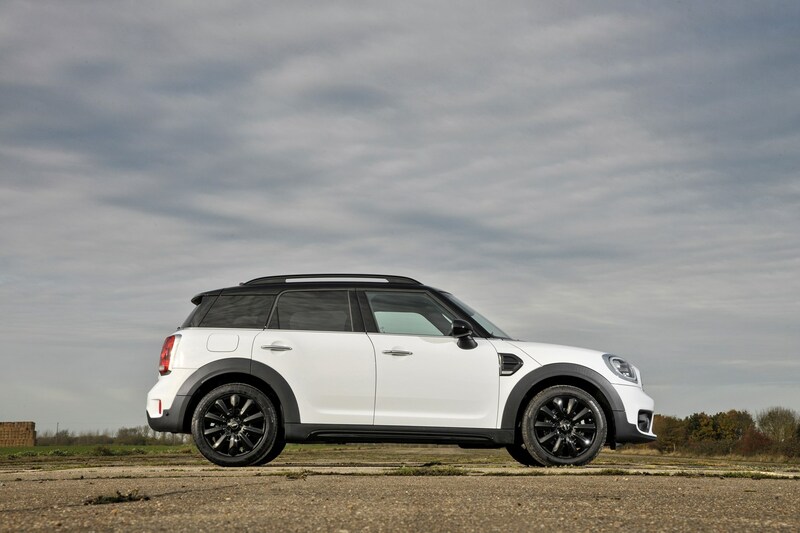 It's 200mm longer, as well as wider and taller than its predecessor. 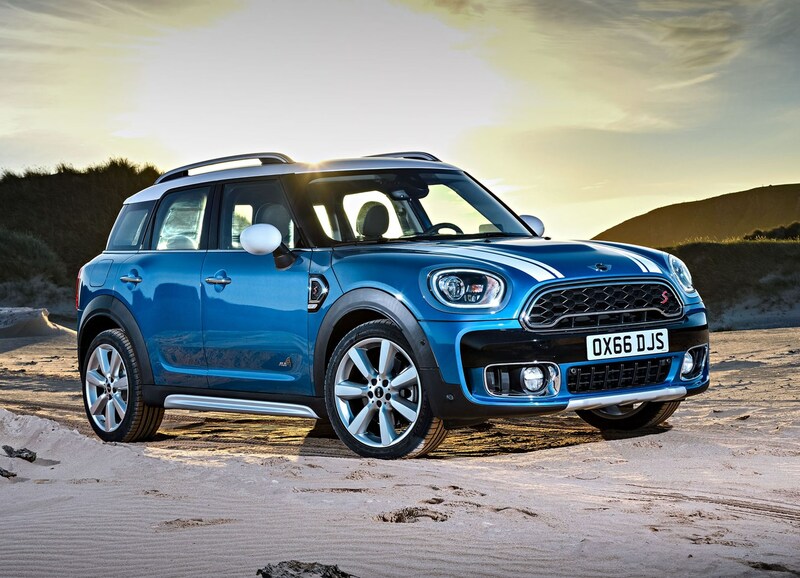 READ: Which Countryman should you buy? 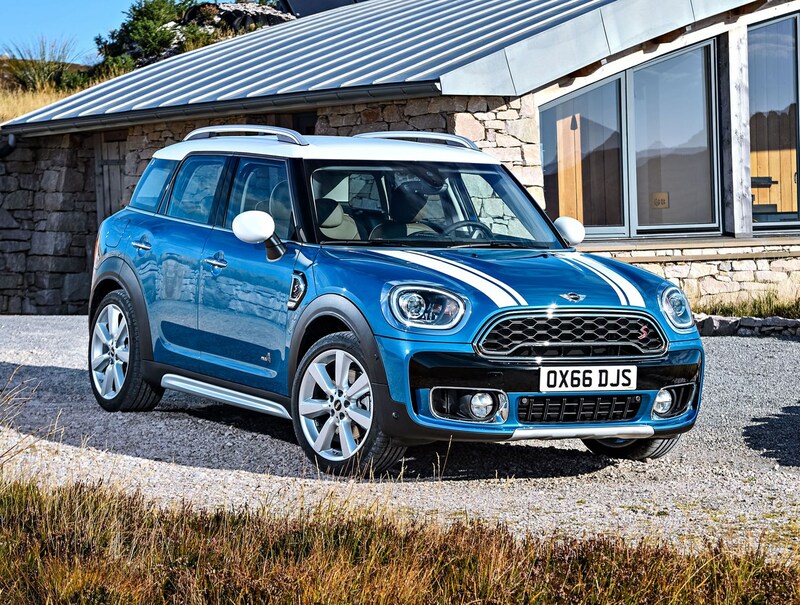 Whereas that first effort resembled little more than a MINI Hatchback on stilts, this one actually boasts pretensions of styling. 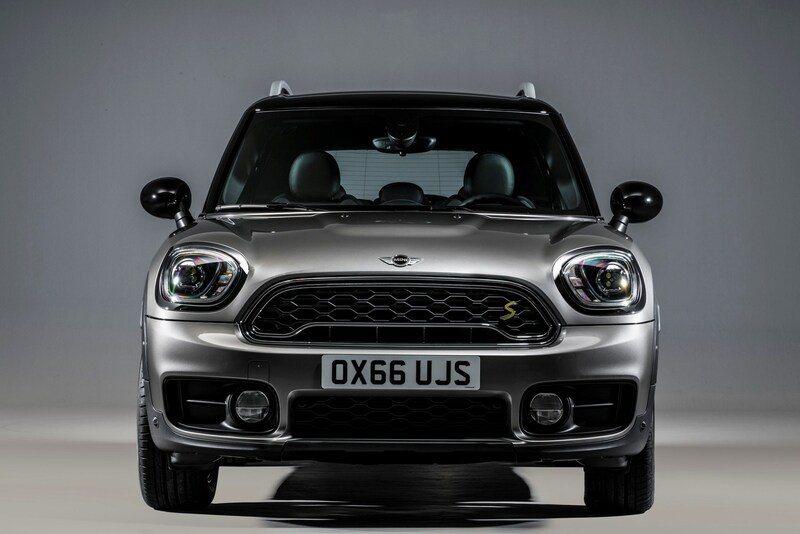 Roof rails are fitted as standard, with matching door sill trim, and the brand's trademark round headlamps are shunned in favour of an unusual blob. 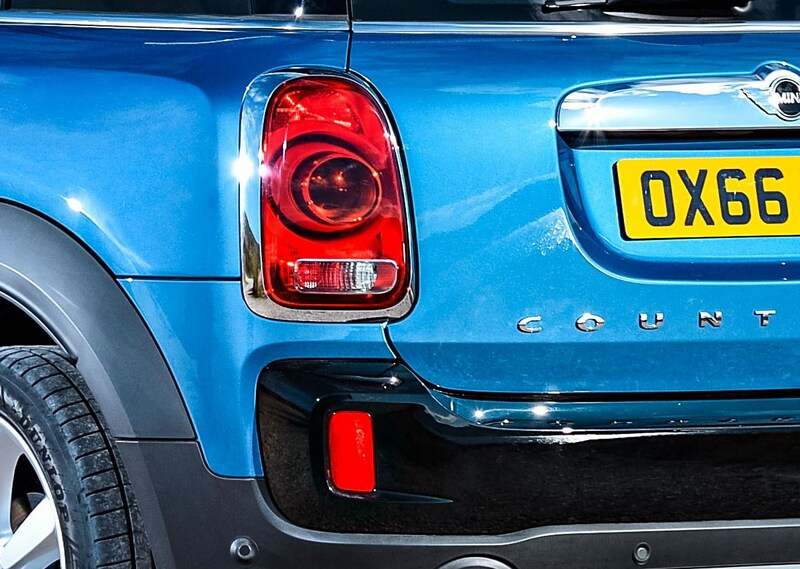 The new tailgate is smaller, and is now both power and foot operated; the latter involving you waving a shoe around under the rear bumper to open it up. 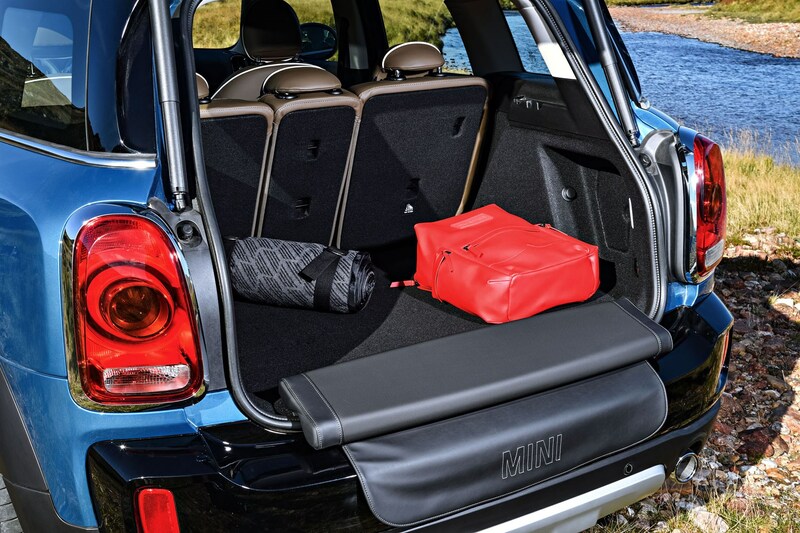 The tidy loadspace volume is some 100 litres larger than before, and incorporates a nifty option lurking beneath the floor; a 'picnic bench' which folds out without fuss to provide a padded cushion on which to perch while changing into your walking boots, and an extra anti-dog-claw flap of material to protect the sill paintwork. 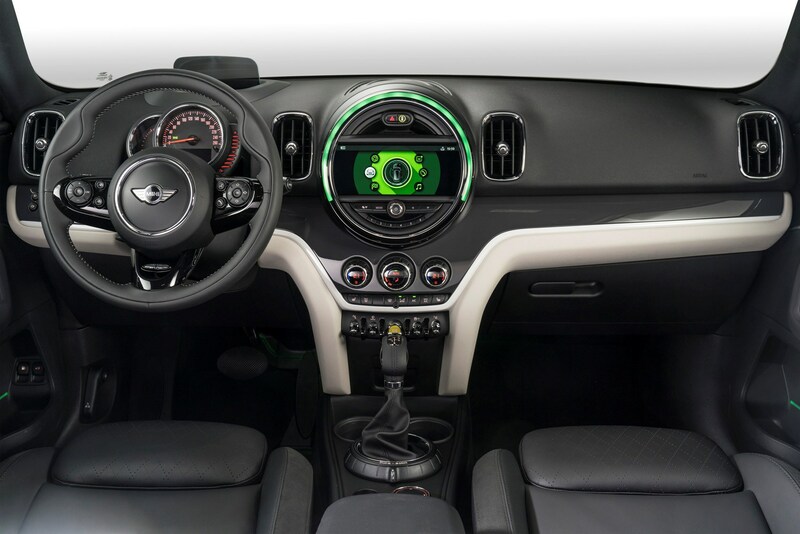 On board, much of the symphony of plastics which dominated the first Countryman has been replaced by next-generation MINI fittings, including the latest centre console ex-speedometer wok, now housing a choice of 6.5- or 8.8-inch multi-information screens; the latter, an option, now has touch-screen capability. 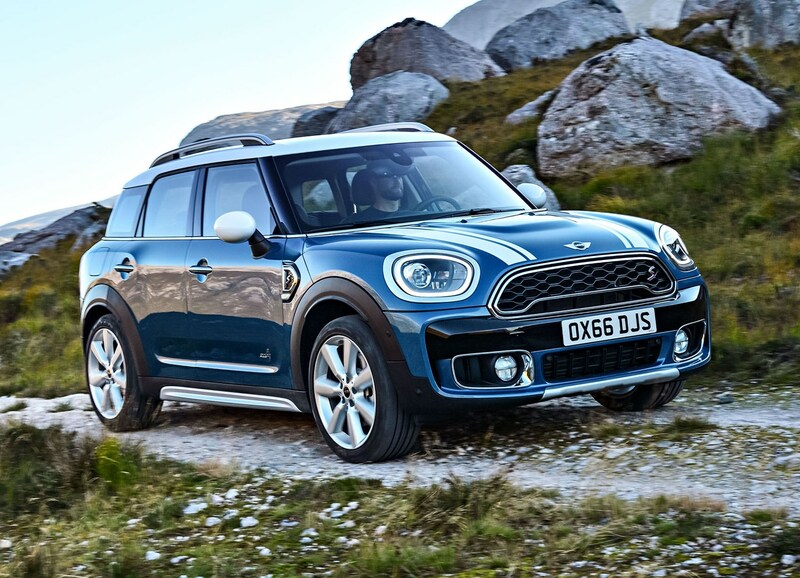 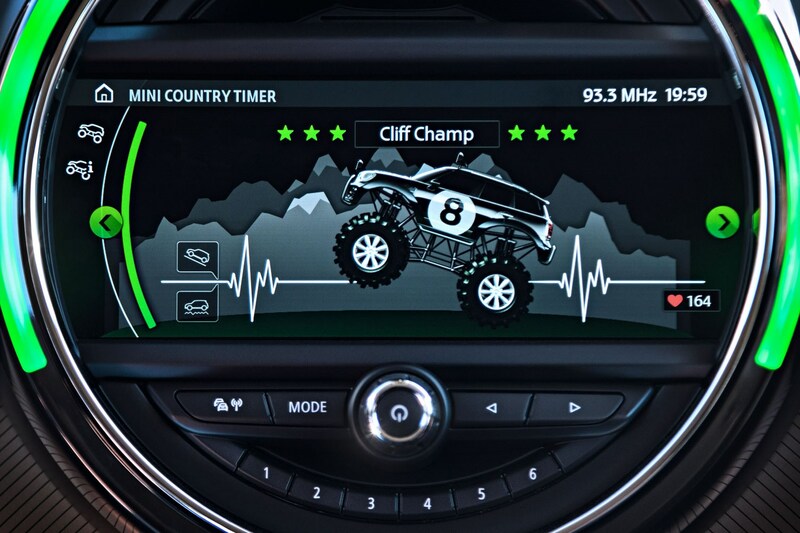 MINI claims that the new Countryman improves on the standard equipment levels of its predecessor to the tune of some £1,900; new free kit includes such goodies as the roof rails, sat-nav, a rear-view camera, 17-inch alloys, Bluetooth and DAB radio and cruise control. 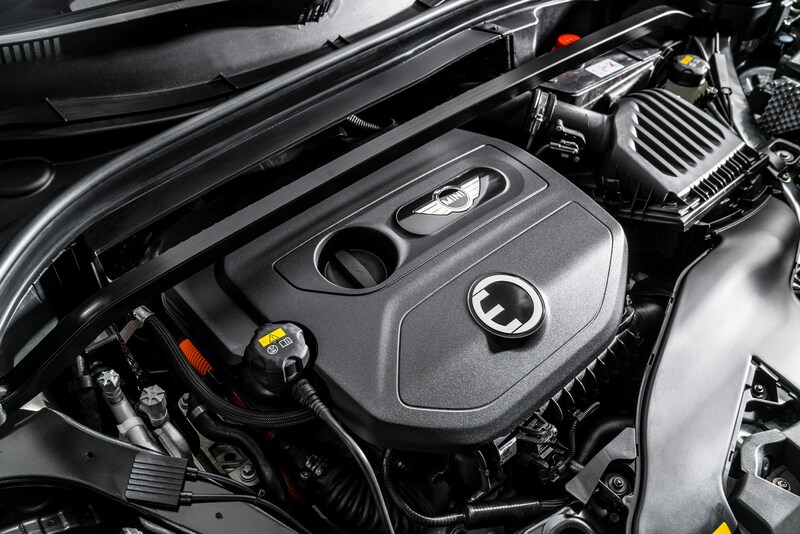 Under the bonnet, an all-turbo, four-engine range includes 1.5 litre, 136hp, three-cylinder and S-branded 2.0-litre, 192hp, four-cylinder turbocharged petrol engines, and a 2.0 litre diesel good for 150hp in standard guise and 190hp with the 'S' appended. 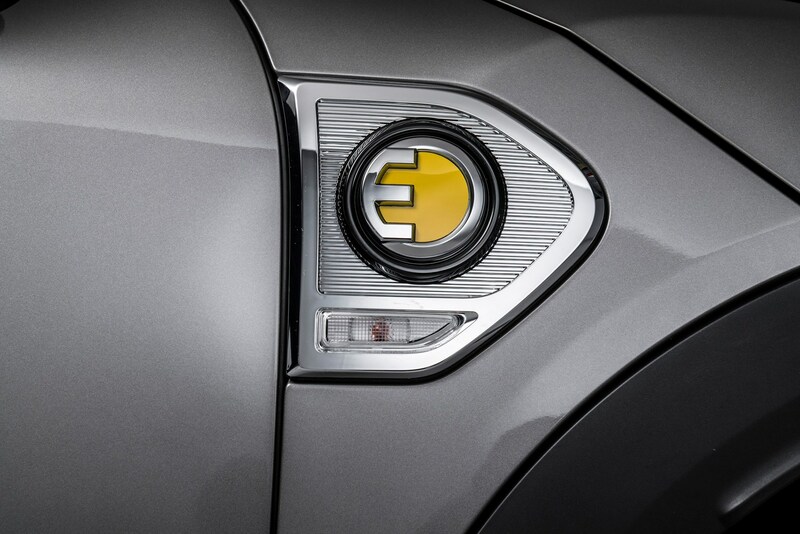 All powerplants may be mated to either six-speed manual or eight-speed automatic transmissions - the latter available with optional flappy paddles. 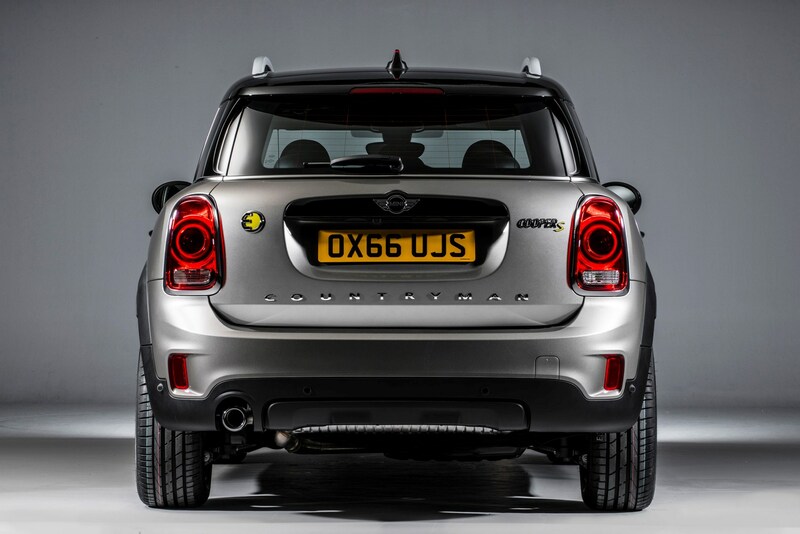 Every variant is also available with ALL4 all-wheel drive capable of directing up to 100% of torque to either the front or rear wheels. 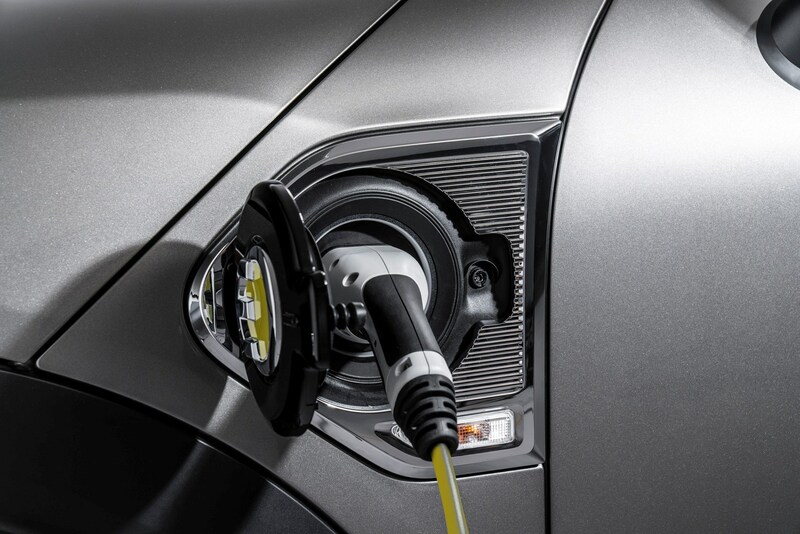 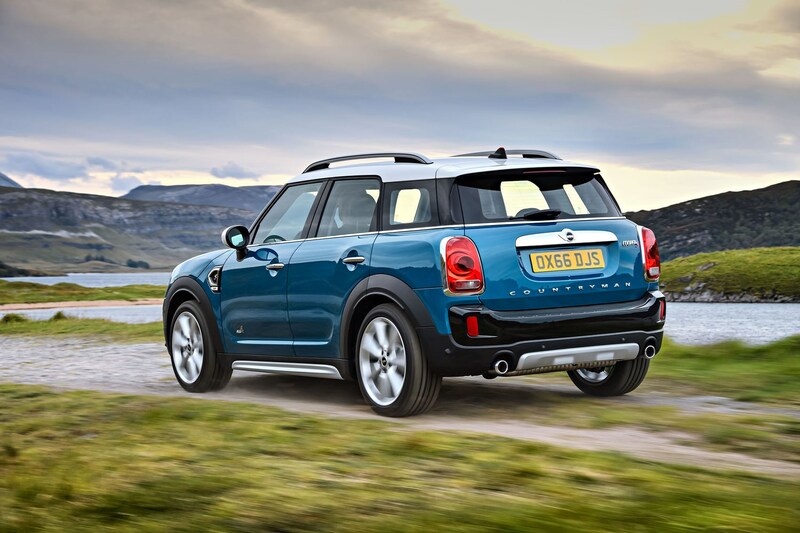 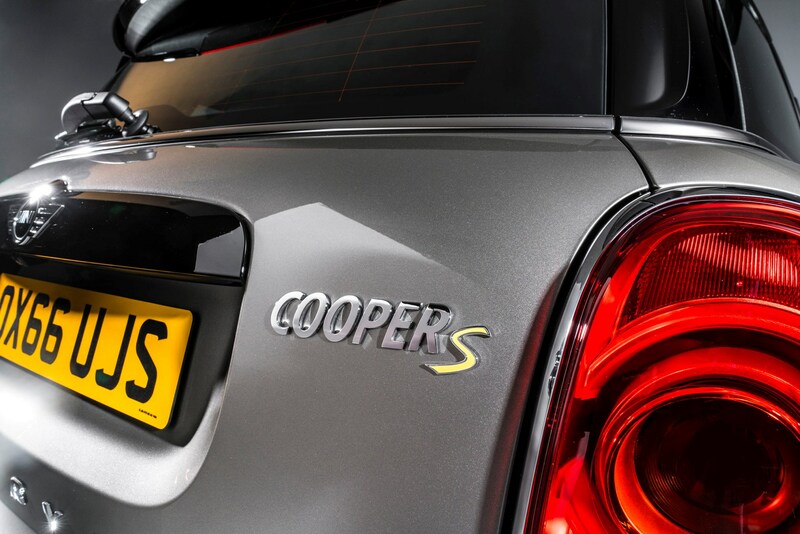 There’s also MINI's first ever plug-in hybrid model, the Cooper S E Countryman ALL4, which combines the 1.5-litre petrol engine and electric motor power to deliver range-topping performance of 0-62mph in 6.8 seconds, while - as with all plug-in hybrids - boasting hilarious fuel consumption of 134.5mpg. 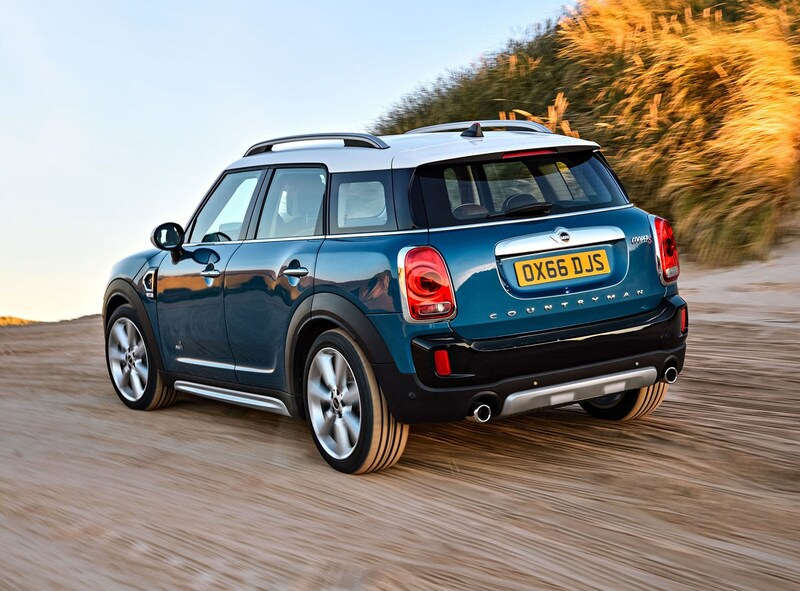 The automatic gearbox is a good fit for the larger, family-oriented bulk of the Countryman, with smooth, relaxed changes. 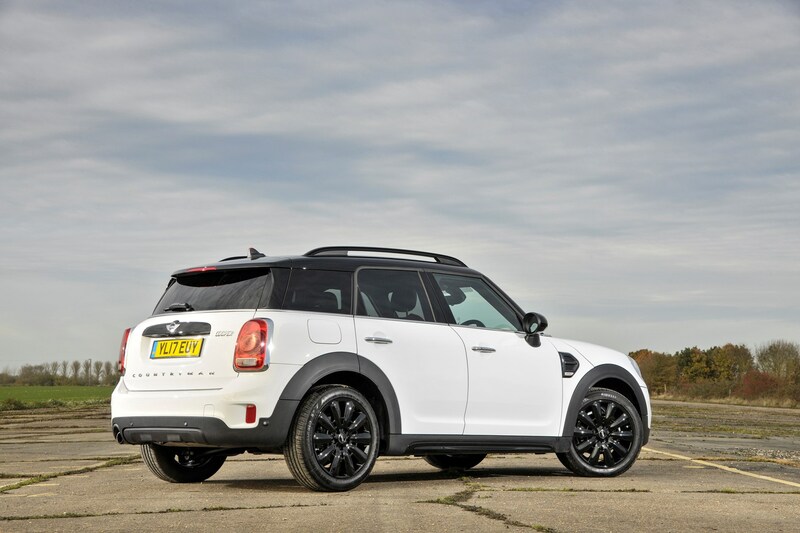 Helped by a slightly longer wheelbase, the ride's better than before, but not great. 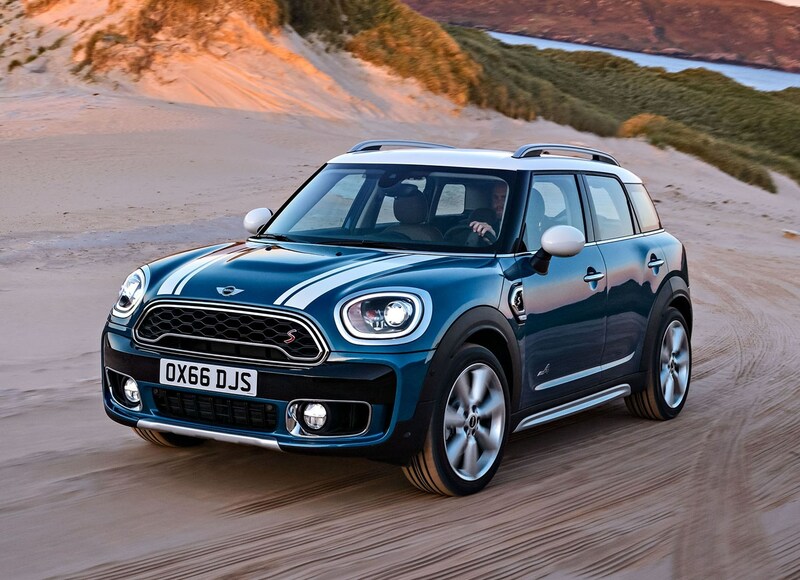 Though a hint more suppleness has been built-in, there's still a deal of bump-thump and the car never really settles, its restlessness on poorer surfaces especially noticeable at pottering speeds. 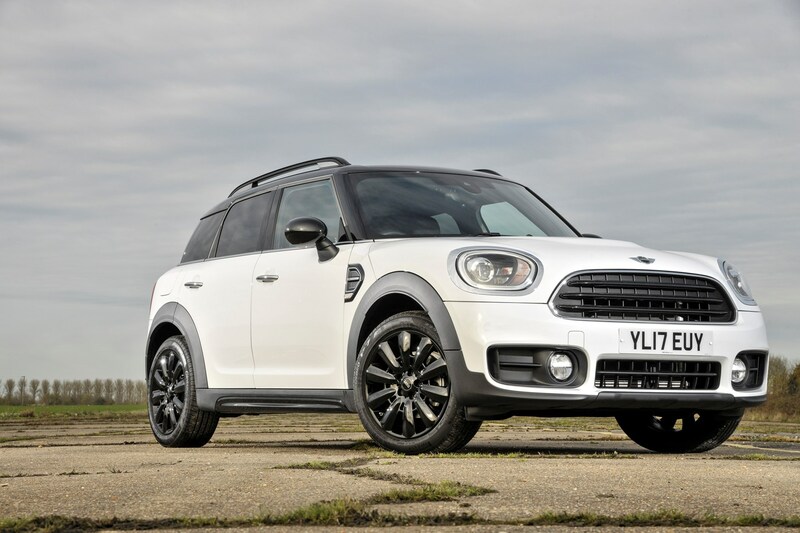 The steering feels meaty even when manoeuvring, but that weight is more pleasing as speeds rise and seems a fitting accompaniment to the new-found bulk of the car. 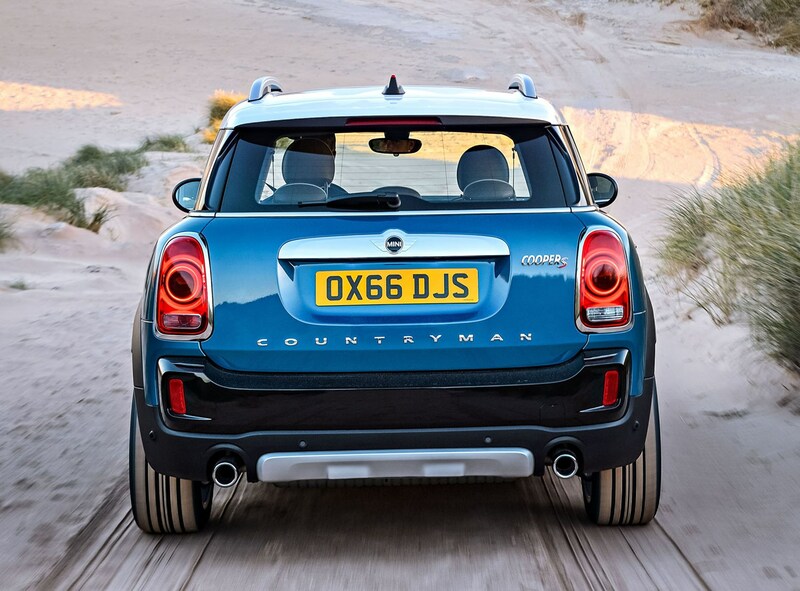 Given its greater heft and added ground clearance it's no surprise to discover that the Countryman handles very much in the manner of a fat hatchback - all-wheel drive adding useful dollops of extra grip and traction. 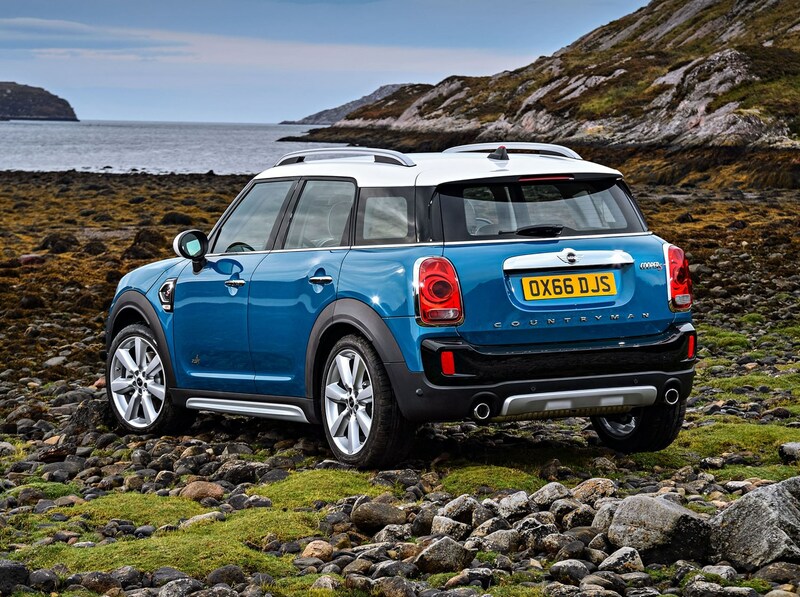 The manifold shortcomings of the first fully phat MINI didn't seem to deter buyers; over half a million units were sold worldwide between 2010 and 2016, nearly 80,000 in the UK - the brand's liveliest marketplace - alone. 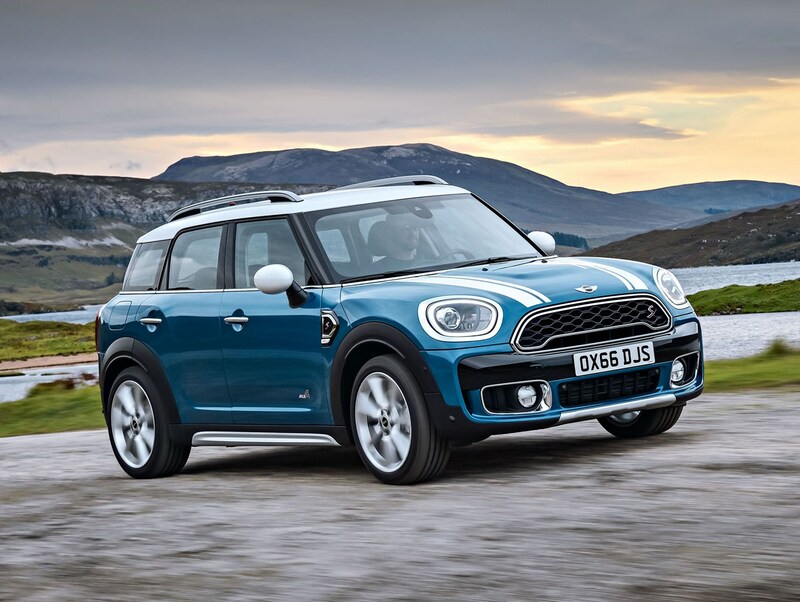 Along with the rest of the MINI range, the Countryman line-up was given a tweak late in 2018 to incorporate new trim levels - Classic, Sport and Exclusive. 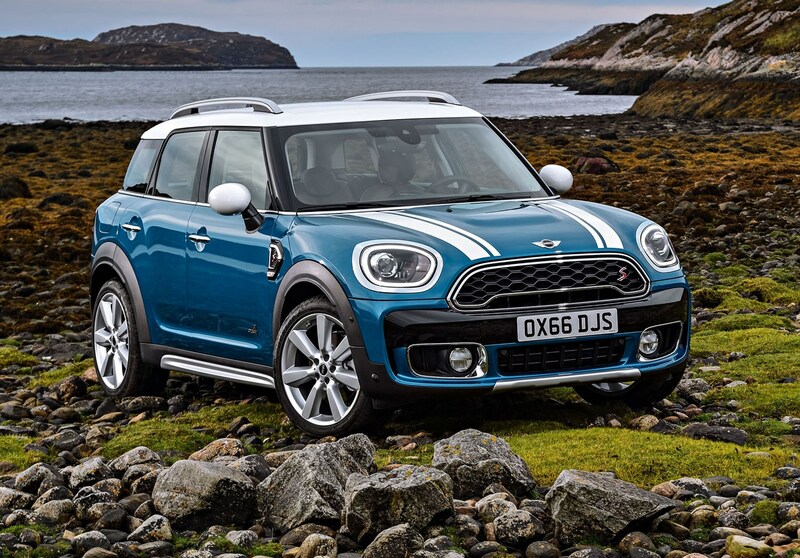 Instead of having confusing engine and option packs to choose from, buyers now pick an engine, followed by one of the three new trim levels, and any extra options like you would with most other cars. 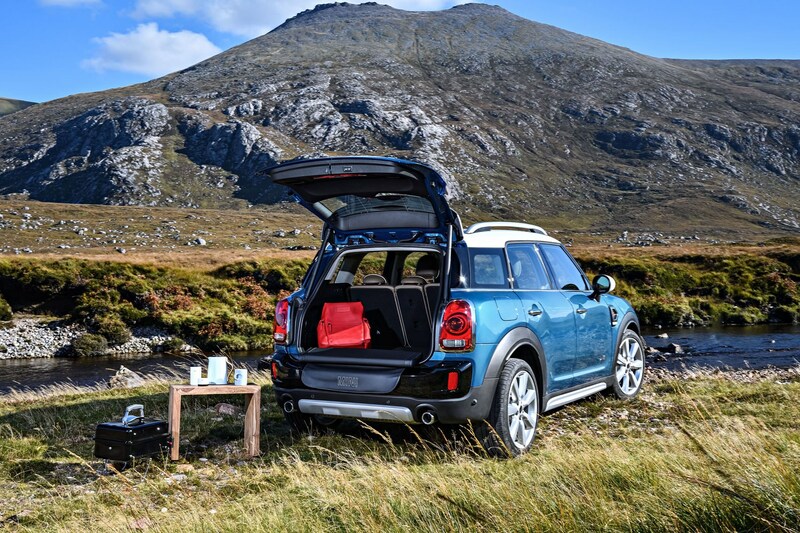 A better car in every department, this new Countryman is more spacious and versatile than before, not to mention boasting a far higher-quality interior. 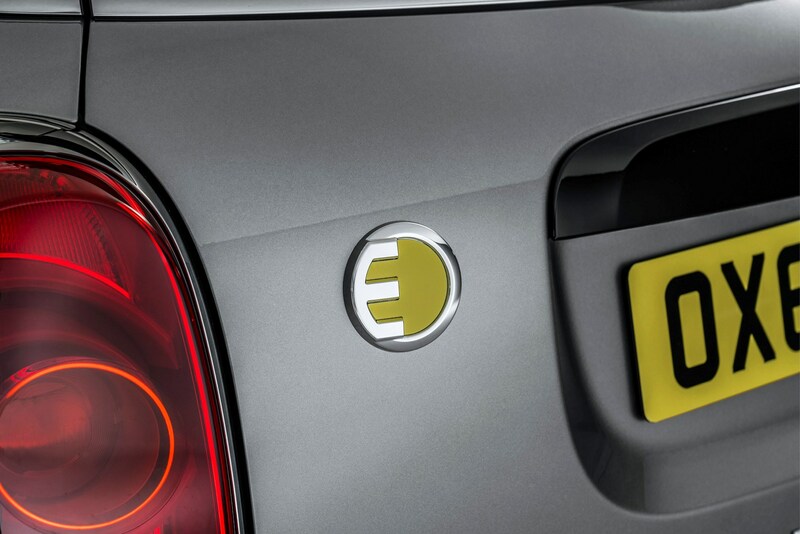 If the brand is your bag, and a swelling family demands a swelling car, then MINI has at last conjured an offering fit for purpose. 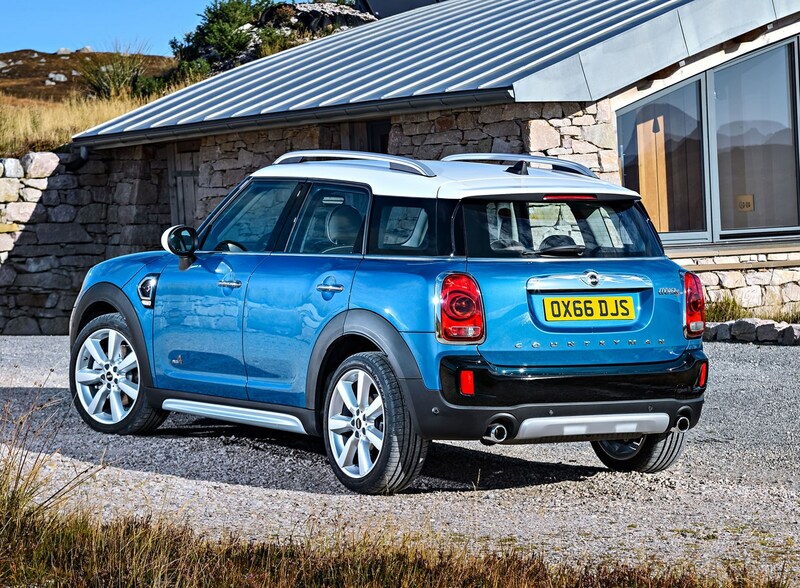 The design is more coherent, the interior now feels befitting of its premium price and there’s genuine space for five on board. 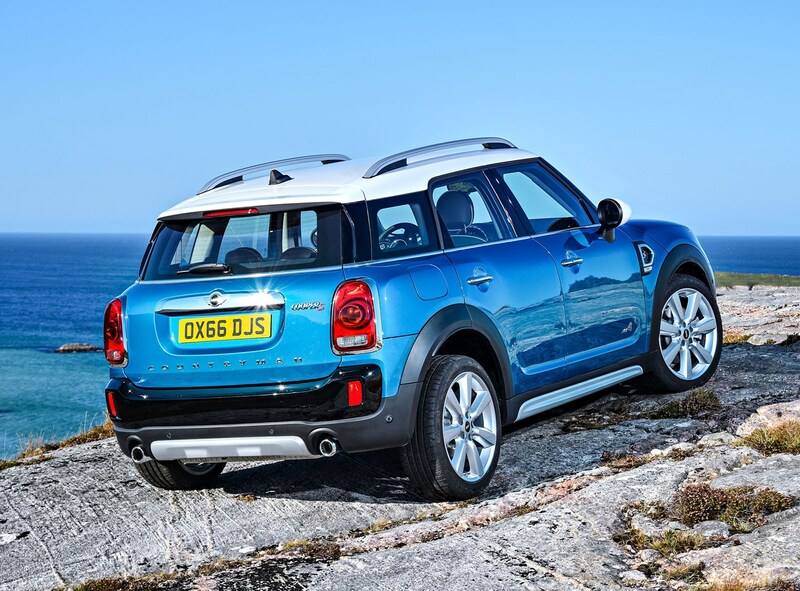 It’s also good to drive with an eclectic selection of engines and transmissions to choose from. 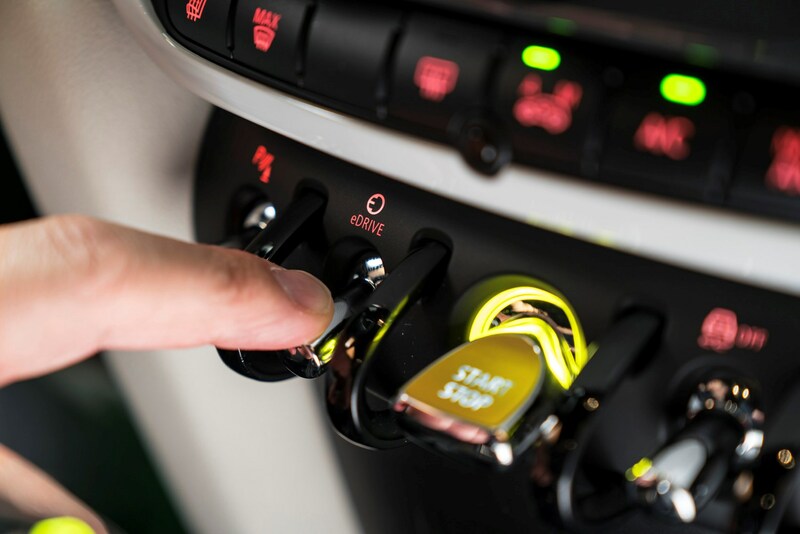 However, the design won’t be appreciated by all customers, and prices can rack up if you hit the options list.